Mine are not about the perfect me but what I need to remember on a day to day basis. There is amazing power in making a list like this, as it helps defining yourself and your world. It makes me think I’m this amazing gal that can do anything. You should try it! Write your own mission statement for life! Who are you and what is “your way” of seeing life? I find great journaling prompts in most articles I read these days, and I take notes obsessively whenever I find interesting information or factoids about anything. I want to question it and examine it from my viewpoint. Ideas for writing are jumping at me all the time, but I don’t find the piece within to start. I hope to force it back, and this week I am writing Morning Pages every day after breakfast. Alex also writes that it’s important to know your limitations. 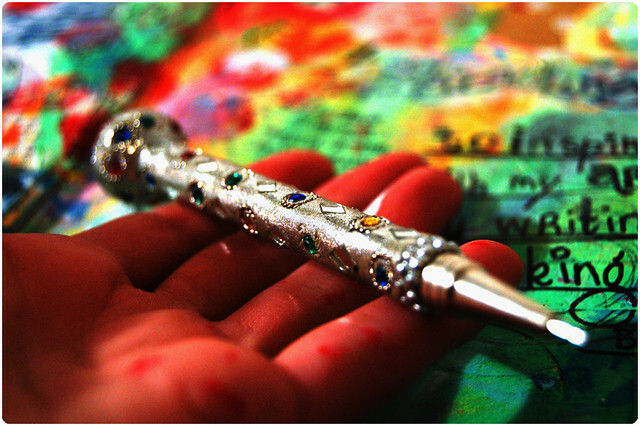 I’m making that list too, but not officially on the web but as a journaling exercise. I know my limitations but I tend to “forget” them, and I think I need have them in front of me to work with them, not against them. One of the words to photograph for the Diptych Project was “calling”. It could be me using the phone, but instead I started to think about what my calling in life is… Isn’t that a nice journaling prompt to think about? What is your calling? This is the whole spread from my portion control play. If you want art journal inspiration I think you should visit the inspiring journaling tips from artist Bridgette Guerzon Mills! Then go read The Socratic Method To Great Living published at zenhabits.net and I also recommend tips on how to write your personal commandments that Gretchen Rubin talks about if you haven’t already read that. 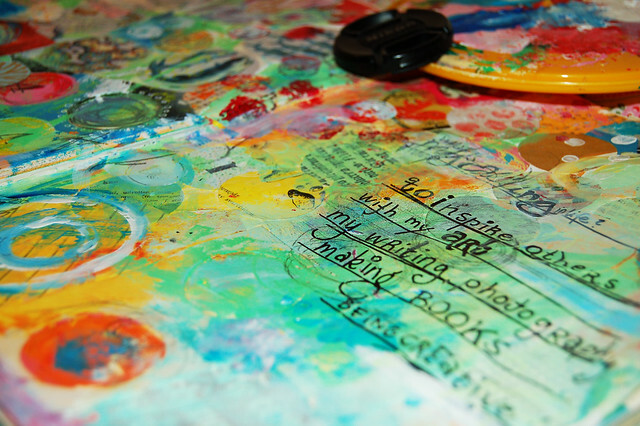 This entry was posted in Art journaling, On writing and tagged About Me, happiness. Bookmark the permalink. This is the inspiration of the day! Thank you Hanna! Man blir starkare och som vanligt inspirerad av att l?sa det du skriver. Tack, Hanna! You sure do have some wonderful thinking going on these days, Hanna. A lot of rich and meaningful things to think about. Thank you for sharing the process with us. It is really and truly very inspiring. 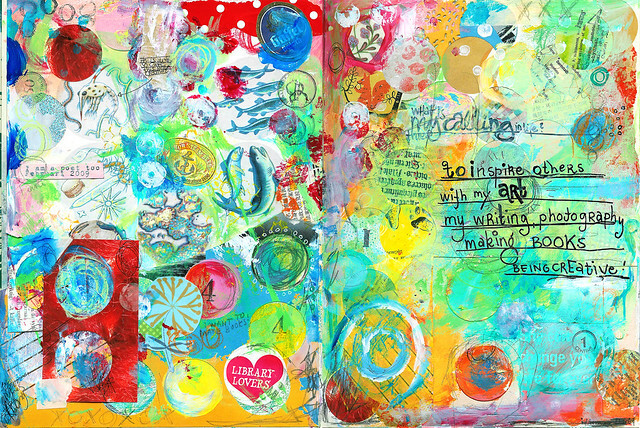 Thanks for the links too- I have be checking out amanobooks journal prompts – so juicy !!! Happy Thinking and Creating ! I’d love to add you, if so! I love your list. Makes your life simpler when you pare it down what you are truly called to do. Then from there, you can soar a lot better in life. thanks for the inspiration – Hanna! Great to see what you did with the portion control. Cool post. I like your blog in general, it’s very colorful, unique, and lively. Keep doing your thing – being super creative that is. Such wise words for one so young. and such a beautiful essence you strongly possess.